Buy Now at a $5.00 Off Discounted Rate. Buy Now at a $10.00 Off Discounted Rate. Established in April 1991 by co-founders Eduard Kucera and Pavel Baudis, AVAST Software a.s. (formerly ALWIL Software a.s.) is based in Prague, Czech Republic, where it produces the multi-award winning avast! antivirus product range. avast! antivirus products protect against viruses, spyware, and other malware types — for individual home users, small businesses, and large corporations. 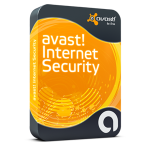 Downloadable in over 30 languages, technical support is available via the avast! website in more than 10 languages. 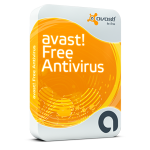 As a global company, AVAST Software has business partners that contribute to the continuous development and improvement of its products and provide additional technical support to its clients in their native languages. Due in part to its global expansion, avast! has become the number-one rated product in a number of key markets, with a continuously growing market share since its first international release. 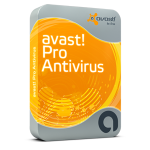 As of early 2011, avast! antivirus has more than 140 million registered users and 120 million active users. Reliable Off-Site Backups are run on a schedule set by the client. Reliable installs on all Windows Servers and backups Exchange, SQL Server, Active Directory, System State, Sharepoint and locked files. Backups are monitored 24/7. The facility is kept at 72 degrees and is equipped with backup batteries and a power generator. The data leaves the client's facility encrypted and remains encrypted on Reliable's servers. If the client works with confidential healthcare or patient information, Reliable Off-Site Backups will aid the organization in becoming HIPAA compliant. The 3 Geeks skilled engineers assist clients in determining what data to backup while considering a client's desired budget, storage, and security needs. Reliable Off-Site Backups are run on a schedule set by you. Once Reliable is setup it is completely automated. There is no restriction for file types that you wish to backup. You can backup up to 40GB of data on the residential plan. The backup facility is monitored 24/7and is kept at 72 degrees. The facility is equipped with backup batteries and a power generator. The data will leave your residence encrypted and remains encrypted on Reliable�s servers. The first month of service is free. The monthly storage and maintenance fee is $14.95. Click here to install Reliable Backup or you can call for assistance at 405-285-4335. "The Geek Wall" is our proprietary hardware and software firewall solution developed by The 3 Geeks. The Geek Wall offers comprehensive site blocking and management of your network. Our clients have found "The Geek Wall" competitive in price and highly effective.We can configure any type of firewall device you might have, or we can design a custom solution for you. We have knowledge of Microsoft ISA, SmoothWall, Cisco, and smaller home versions like D-Link and Linksys. No firewall job is too big or small.